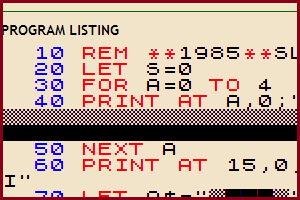 I wasn’t sure in my last post how to remove the extra space from the program listings. Well, I figured it out. It was surprisingly easy and took me about five minutes of searching and updating. Apparently there is a CSS property called line-height. Set it to one and problem solved. Here’s the article I found for reference. 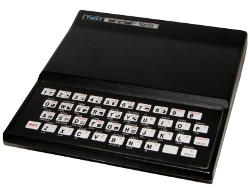 The program listings are now almost identical to what a ZX81 would product using the LLIST command, minus the color coding of course.